The Woodstock Byrdcliffe Guild invites all Byrdcliffe members to participate in its 2017 Annual Members’ Show, this year called “BYRD & IMAGE“. The show is open to all current members. A Curator’s Choice award in the amount of $100 will be presented for one work chosen by the Exhibition Committee. In addition to being an opportunity to see exciting new work, the opening reception and Open Mic Night tradition, now in its third year, are lively community events that accompany the show. 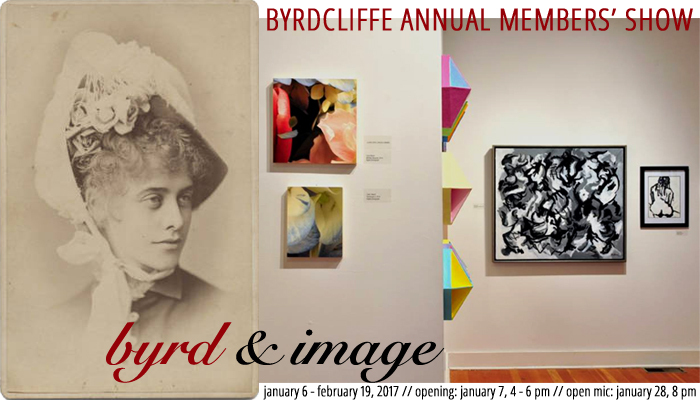 Marking the start of another year of excellence in the arts, Byrdcliffe announces its annual Members’ Show for 2017, Byrd & Image (referencing the art journal Word & Image). The opening reception is on Saturday, January 7, from 4:00 to 6:00 pm at the Kleinert/James Center for the Arts. This non-juried exhibition gives voice and opportunity to the many artists among the organization’s over 600 members. The exhibition will feature the work of both well-known and emerging artists, in an array of media from the traditional to the experimental: painters and printmakers, sculptors and installation artists, photographers, digital artists, and multiple permutations along the way. 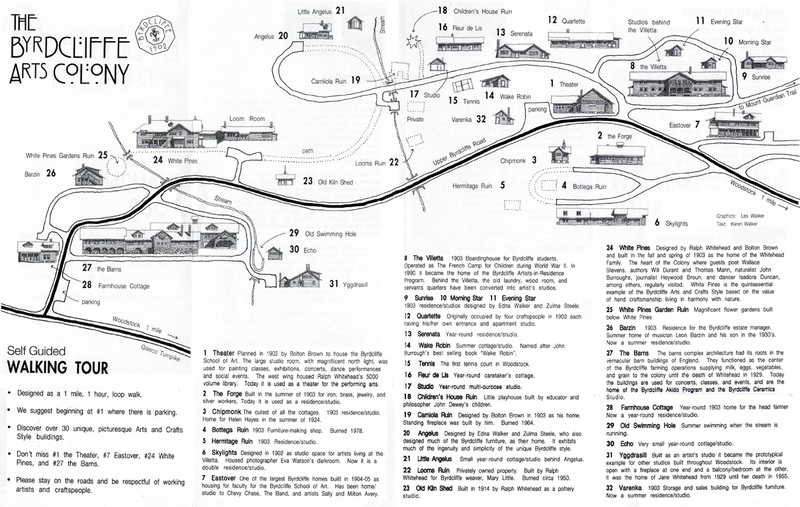 Following the Arts and Crafts tradition at the root of Byrdcliffe’s historical identity, members also work in textiles, ceramics, jewelry, and wood. Submissions are due on Tuesday, January 3, with guidelines available at http://www.woodstockguild.org/exhibitions. Artists have the opportunity to submit one or two works to what is always a large show with high visitor numbers despite winter climes. Every year, the members’ show at the Kleinert/James Center for the Arts reflects the long-standing interdisciplinary mission set forth by Byrdcliffe’s founders in 1902. Like its Artist in Residence Program, Byrdcliffe’s annual members’ show demonstrates the sustainability of Jane and Ralph Whitehead’s multi-disciplined model that welcomed artists and craftspeople to work collaboratively and without restrictions. A Curator’s Choice award of $100 will be awarded at the reception. On January 28, as part of the exhibition, Byrdcliffe’s Third Annual Open Mic Night will give Byrdcliffe’s artists and other members of the Hudson Valley community the opportunity to flaunt their talents beyond the visual. Singers, poets, banjo-players, comedians, story-tellers, actors, pontificators, and variants thereof are invited to take the mic. The Kleinert/James’ historic Steinway B will be rolled out for any who’d like to play. All are invited to take part, not just Byrdcliffe members. Byrdcliffe resident Marc Delgado, a singer-songwriter with a wry sense of humor and crowd-pleasing finesse, will emcee the event. Admission is free and open to the public.